The global nanofiber market is estimated to be US$ 1,263.6 million in 2017 and is estimated to reach US$ 7,238.3 million by 2025. Polymer nanofiber lead the market finding applications across a number of sectors. However, the carbon based nanofiber is anticipated to grow at a very high pace owing to their applications in the lithium-ion batteries. Although polymer nanofiber account for the largest share of global nanofiber market, growing applications of carbon nanofiber is anticipated to drive the market for this material at an extremely high pace during the forecast period. 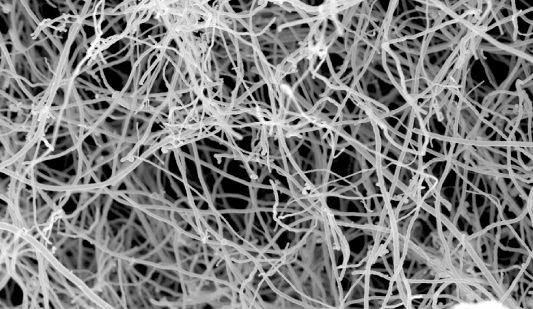 Carbon nanofiber are beginning to find applications in a host of industries that include electronics industry for heat management, conduction, and EMI shielding; composites industry for polymers, resins, glass, ceramics, and plastics; energy industry for batteries, catalysts and fuel cells; and medicine & life science industry for drug delivery, implants, and tissue engineering applications. Their major growth is attributed to incorporations in the Lithium-Ion batteries. Carbon nanofibers are made by the elimination of non-carbon elements from the synthetic as well as biopolymers at very high temperatures. The method for the manufacturing of the carbon nanofiber is termed as floating catalyst method where a variety of metals in the powdered or support forms are used as catalytic entities. Foils, gauzes, and wires etc. are other catalysts used in the production of nanofibers. Carbon nanofibers exhibit physical properties such as high discontinuity, high compatibility, and are also highly graphitic. Technological trends and human quest for improvements have resulted in the miniaturization of consumer electronic devices, and enhancements in various consumer goods. Lack of large scale commercialization of the nanofibers is attributed to the lower production outputs from the Electrospinning methods of nanofiber production. Market leaders in coordination with research institutions have been addressing the problems pertaining to the lower production outputs for nanofibers and have resulted in the discovery of new methods for nanofiber synthesis. These technological advancements for the synthesis of nanofiber have eased the path for nanofiber commercialization and increasing number of companies are engaged to develop nanofiber for more industrial uses. The advanced countries of the world from North America and Europe are observed to be the pioneers in the installations of nanofiber whereas the market is gathering pace in the developing countries of Asia. Various environmental and health safety norms are also impacting the market, and governing changes in the raw materials being used for nanofiber. The rapid industrialization in the developing economies also results in rapid infrastructural developments which further impacts on the take up for nanofiber. Also, it provides huge opportunities for the market players to tap upon the presented opportunity. APAC is expected to be the fastest growing region in the incorporations of nanofiber. The major reason for this is the Government policies encouraging the research and development and further comme4rcialization of nanofiber and thus wider installations in the region. China, India, Vietnam, Singapore, and Japan, are some of the important countries in APAC that comprise of large research centers focused on nanofiber industry that present potentials for growing market of nanofiber. Geographically, North America will have the largest share in the nanofiber market by 2025, owing to rapid technological developments, numerous investments and supportive Government policies in the western part of the world.